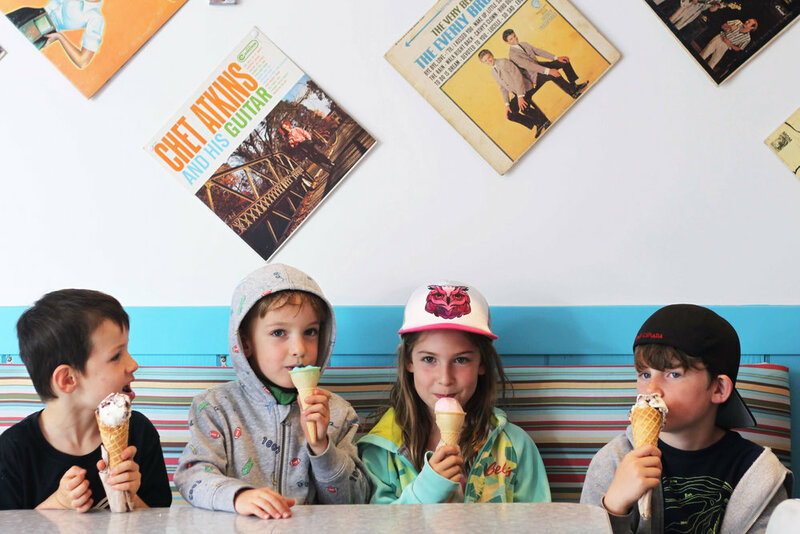 Squamish’s neighbourhood favourite Carina’s Gelato is reborn as 2 Chill Gelato. We’ve taken over a decade of expertise, swirled in a 50’s retro flair, and sprinkled in a weird, creative twist to serve up the Sea-to-Sky’s tastiest, chillest gelato. Our mission remains the same, though: to reward local adventurers after another wild day in Canada’s adventure capital. Whether you’re in a plain vanilla mood or feeling like a Fruit Loop, you’ll find a flavour to satisfy your cravings at 2 Chill. And whatever you choose, you’ll know it’s the best. We may experiment with flavours but we stick to tradition in making the finest artisanal Italian gelato. This ensures you get the tastiest, most rewarding experience. If you’re looking to warm up instead of cool down, our crepes are the antidote. Select a savoury topping like scrambled eggs or pesto for a snack or light meal, or treat yourself with something sweet like fresh fruit or gelato. Whatever topping you choose, we make them the star of the show. We make our own buckwheat batter for savoury crepes and traditional sweet batter. We’ve learned to use the tastiest toppings from cheese to chocolate. And if you can’t decide between a crepe or a gelato, don’t! Combine the two European classics and create the most rewarding dessert of all.